Cultural heritage authorities are concerned about plans for the corner property. 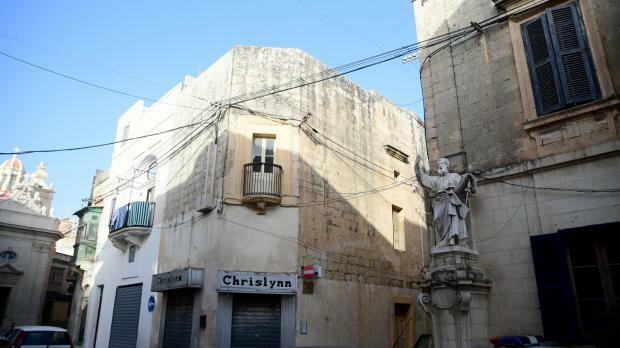 A planning application to develop a house in Birkirkara’s core may negatively impact the streetscape, the Superintendence of Cultural Heritage has warned. A development application proposed the construction of a parapet wall on the top floor in a building at Triq il-Kbira, an Urban Conservation Area in the heart of Birkirkara. The Superintendence also said it required clearer plans, elevations and sections to safeguard the cultural heritage in the area. The application also proposes the construction of a mezzanine at ground floor level as well as alterations to the facade. The building is close to the police station and the residence of former President Eddie Fenech Adami. Residents have also raised concerns about the pending development due to its location in the Urban Conservation Area. The Planning Authority said it would like the plans re-labelled to clarify the numbering of the storeys. It also noted that an additional elevation along Triq San Ġużepp is also required. Concerned residents contacted Times of Malta after spotting the development application. “This building may look abandoned, but it has great significance to those who have been living here for a long time,” one resident said. Their fears grew, given the Planning Authority’s track record in approving development in Urban Conservation areas, a reader told the Times of Malta. The Planning Authority approved 276 demolitions within Urban Conservation Areas in 2016, Parliamentary data shows. The case is being assessed with a view of preparing a recommendation report to the Planning Board.